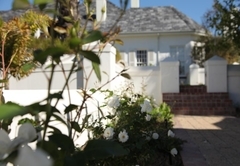 The Wild Mushroom Country House is a Stellenbosch hotel providing accommodation in 10 guest rooms for tourists visiting the Cape Winelands region. 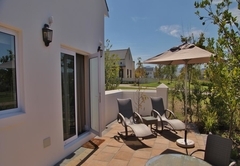 The Wild Mushroom Country House can be found in Stellenbosch and is ideal for an authentic experience of the Cape Winelands and it is also situated only a few kilometres from Cape Town Film Studios, South Africa’s own upcoming Hollywood – providing a totally different focus than any other hotel. 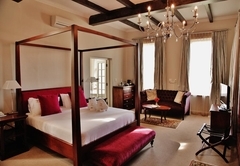 There are seven en suite bedrooms in this double storey boutique hotel style country house. 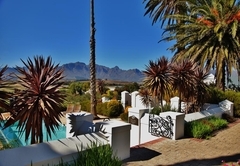 Each window offers an unobstructed view of the blue Boland Mountains. A stay in the Wild Mushroom, a uniquely South African guest house, is a visual delight and sensory experience in an exclusive, private environment. Additionally the poolside building, originally constructed as a high-tech mushroom growing facility, has been converted into the most luxurious suite you will have experienced. This luxurious stand alone suite affords privacy, double indoor shower and outdoor open air shower, kitchenette and private terrace. 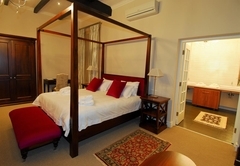 This spacious, ground floor suite was the lounge and sunroom in the original manor house. The huge fireplace is equipped with a little wood stove, which creates a pleasant atmosphere in the cold winter months. An outer door gives direct access. 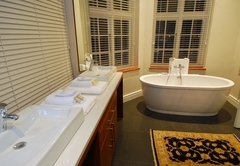 These rooms have magnificent views and spacious en-suite bathrooms. One ground and two first floor options available. 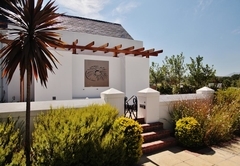 Tastefully decorated with all amenities; satellite TV, iPod docking station, mini fridges, safes, air-conditioner, underfloor heating, full bathrooms with heated towel rails for guest comfort. 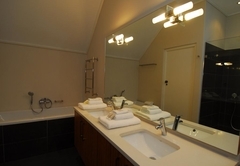 Tastefully decorated with all amenities; satellite TV, safe, air-conditioner, full bathrooms bath and shower. Separate entrance from the main building. A full gourmet breakfast is provided and served under the pergola in the courtyard. Snack platters area available on request. 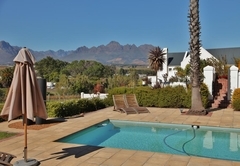 Here at Digteby Estate in Vlottenburg, a residential area in Stellenbosch, a passion for classic luxury with a contemporary flavour is fused with a unique winelands location. Ground Floor, King Size Bed, Fire Place, Garden Entrance. 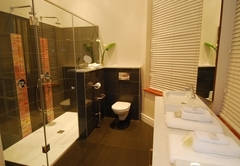 Ground Floor, King Size Bed, Large Bathroom, Garden Entrance. Ground Floor, King Size Bed, Outside Patio. 1st Floor, Overlooks Breakfast Courtyard, King Size Bed. 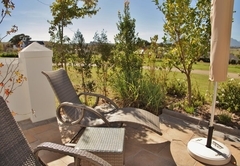 1st Floor, Overlooks Gargen & Swimming Pool, Mountain Views, King Size Bed. 1st Floor, Spacious Room, King Size Bed, Mountain View. Separate From Main House, King Size Bed. Seperate From Main House, King Size Bed. Stand Alone Garden "Villa Style" Room, Large Open Plan Space, King Size Bed, Double inside shower, Outside Shower, Private Patio. 1st Floor, King Size Bed, Overlooking the Estate. Response timeThe Wild Mushroom Country House typically responds to requests in 5-10 minutes.